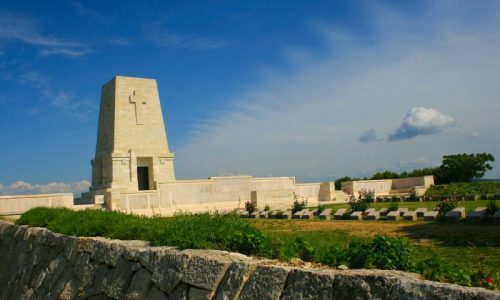 Explore the history of Gallipoli’s World War I battlefields on your one day Gallipoli tour from Istanbul. Visit the emotional memorial sites that have been dedicated to fallen New Zealand, Australian, and Turkish soldiers. In Gallipoli day tour from Istanbul, you will be learning all about the campaign of the World War I that took place on the Gallipoli and hear tales about the soldiers who lost their lives. You will also be able to explore the history of the sites like ANZAC Cove, Lone Pine, Ari and Neck Burnu Cemetrart etc. With plenty of information shared by our professional guide, a round trip from Istanbul, with breakfast and lunch; trust me; nothing will beat this experience. For most of the Australian and New Zealand tourists, Gallipoli is the focus of the trip to Turkey. During World War I and it is the site of an entrenched combat between Turkish and the allied troops. Horrendous causalities were resulted on both sides and operation was a failure for the allies. Today Gallipoli is synonymous to the incompetence of the British leaders and sacrifices made by the commonwealth soldiers. Our representative will reach you at your hotel door to pick you for the tour right at 06:00 a.m. We will depart for Eceabat via nonsmoking, air conditioned minibus. On our way to the destination, we will enjoy our breakfast. Lunch will also be included in the Gallipoli day tour from Istanbul and you will have the opportunity to entice your taste buds with local cuisine at its best. This beach has been named after the prominent and exclusive suburb in Melbourne named as Brighton and becomes part of our Gallipoli tour from Istanbul. But it is worth stating here that nothing is lying Melbourne suburb at Brighton beach in Turkey. It is a mile long flat area that served as the war zone during the World War I. 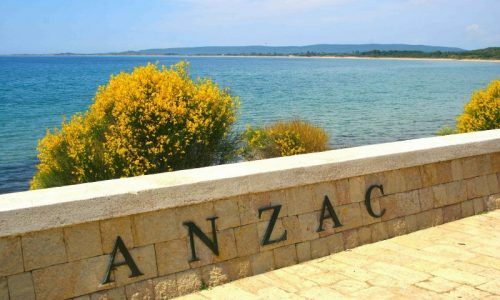 Your visit during to this beach during Gallipoli tour from Istanbul will educate you about the sufferings of the Australian forces that they endured during the World War I. Just like most of the war sites, the beach is a memorial to the bravery of the young Australian soldiers who went up against the French and Commonwealth forces. You can read about what to do on a tour to Gallipoli and enjoy more. The allies during the World War I landed on the Peninsula on April 25-26, 1915. Beach cement was brought to use from the landing day at Anzac until (almost) evacuation. 391 Commonwealth soldiers are commemorate or buried in the cemetery. 22 of these burials are unidentified while 11 causalities are believed to be buried among them. Anzac Cove is a small Cove one Aegean side of the Gallipoli Peninsula. It was the site where Anzacs landed in the Battle of Gallipoli during the World War I. The war here took place for around eight months and lost many soldiers hence it becomes a must to be visited during your Gallipoli tour from Istanbul. This cemetery has been named from the Cape at the North end of the Anzac cove. It was made in 1915. In 1926 and 1927, graves were brought here from the Kilid Bahr Anglo French Cemetery and Gallipoli Consular Cemetery. There are 252 commonwealth Soldiers buried here. 42 of them are unidentified while five causalities are among them too. Australian and the New Zealand governments, along with the Turkish government built this commemorative site. It was done in order to relieve the pressure on the traditional dawn service site at Ari Burnu war cemetery. While at your Gallipoli tour from Istanbul you will be able to walk through this site. Mehmetcik is the common name given to the soldiers in war. Visiting this monument is part of our Gallipoli tour from Istanbul. The monument is a sculpture of Turkish soldier who is carrying an Australian officer. It represents the event where a Turkish soldier raised the white flag, and carried a wounded Australian soldier and took him to the Australian soldier and returned to his line. 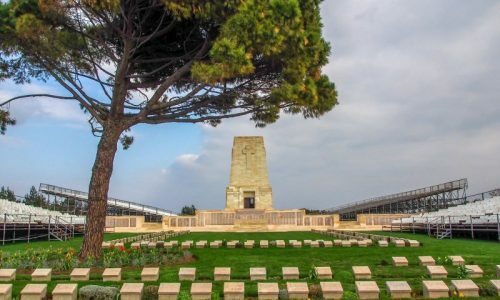 Lone Pine Australian Memorial is a must to be visited place during Gallipoli tour from Istanbul. It is one of the reminders of the Turkey’s 20th-century highlights. It serves as a tribute to all the identified and unidentified heroes of the Battle of Lone Pine most of which were from the Australian battle. The cemetery was created after the war when remains were brought here from the isolated graves in the surroundings of the battlefield. 144 burials are unidentified among 181. The Nek battle was fought as a part of the Gallipoli campaign during World War I. This memorial stands on the summit of the Chunuk Bair in honor of the 5 day battle of Chunuk Bair that took place during the World War I. It was August 1915 when Ottoman soldiers battled out with the British and New Zealander forces on Gallipoli Peninsula. All the soldiers that went down were given tribute via this memorial. You will enjoy an amazing view of this wonderful place of meditation.